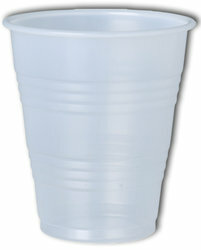 7 oz Plastic Water Cup - 100 Count (Perfect for ION Pro Water Cooler Stand). These cups are the perfect size cup to fit in the ION Pro Water Cooler Stand. They will also work as everyday cups if you do not have the stand for the ION Pro. Each sleeve has 100 cups.